Stress is like a silent assassin. You don’t see it coming or know that it is there, but it has you in a headlock, and before you know it, you’re on the mat. It has been stated that stress is the cause of 90% of illnesses. Your body tells you how well you are doing. You just need to be more aware of the signals it is sending you. They start off as minor warning signs, but if left unchecked or ignored, they progress to more serious health issues and ultimately life-threatening problems. You can manage your stress to feel and perform at your best with simple strategies performed on a daily, weekly and monthly basis. The key to managing yourself and handling stress is to prioritize ‘you’ by developing a ‘me plan’. This is a plan that includes a selection of the strategies mentioned above. Don’t just leave it to chance; book the strategies into your schedule like any other important appointment. If something comes up, reschedule it. Isn’t that a worthy investment for a significant return? • If you cannot sleep, get up, read a book for 15 minutes in a different room and return to bed. A new study reveals that stressed and micromanaged employees are more likely to call in sick. The study, which examined more than 7,000 middle-aged healthy people in Norway, found that those who work in stressful environments and are micromanaged by their bosses are more likely to take extended sick leave – defined as more than 16 days off in a row. Additionally, they are also more likely to experience chest pain, nausea and shortness of breath. Loosen the reins: Introduce small measures that give employees some control over their work, such as when they can take their breaks, or even just empower them so they can speak up about great ideas. A fresh perspective, or even taking suggestions from frontline employees, can result in more efficient and effective processes – resulting in less stress for everyone. Provide some downtime: Setting a time for employees to put down work and interact with each other not only gives them an opportunity to de-stress, it helps develop workplace relationships. For example, when Anthony Merlin, managing director of architectural firm i2C, converted an old pub into his firm’s office, he included breakout areas in the renovations. 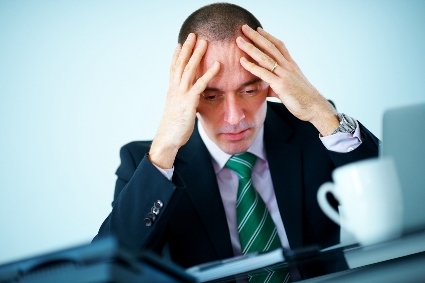 Educate management: Provide team leaders with basic training in identifying the signs of stress. Law firm Holding Redlich is one example of an employer that has positioned employee well-being at the heart of its EVP. The company promotes health and well-being programs for all employees, and host regular mental health, stress and burnout presentations by representatives from organizations such as R U OK and beyondblue. This is a slightly amended version of an article written by Timo Topp, founder of Well for Work. It has been shortened to make it suitable for web publishing.